With the implementation of the Hospital Readmissions Reduction Program, which penalizes hospitals with excessive hospital readmissions for specific conditions, more hospitals are looking for strategies to lower readmission rates to reduce these penalties. Hospital readmissions occur for a variety of different reasons, such as inability to get to a provider for a follow-up, failing to adhere to medication regimens, little follow-up from the hospital and lack of effective patient education. However, there’s a single factor underlying all of these reasons for readmissions: communication. Without proper communication with follow-up medical facilities, family members, and patients, there’s often confusion surrounding post-discharge care and patient responsibilities. Communication is an essential piece of the puzzle for hospitals working to reduce readmission rates. However, it’s often difficult to designate staff resources to communicate with patients after discharge, which is why automated, digital patient communications can be so beneficial. With an automated system, it’s possible to communicate with patients regularly and in different ways without taking up the time of hospital staff. Here’s a closer look at some of the different ways automated patient communications can help prevent hospital readmissions. Patients dealing with chronic conditions have a higher risk of readmission, and surveys have shown that most chronic patients say they need more help managing their condition. Enrolling patients in chronic care management programs require a significant amount of communication, but this communication can be automated to make it easier for hospitals to provide patients with ongoing support. Patient engagement systems such as PatientBond can be used to send automated messages inviting patients to get involved in chronic care programs, presenting the benefits of participating in such a program. Automated messages can be sent to remind patients of disease-specific tests and screenings as well, improving preventive care. Not only are missed appointments costly for medical practices, but missed follow-up appointments after being discharged from the hospital increases the risk of readmission. 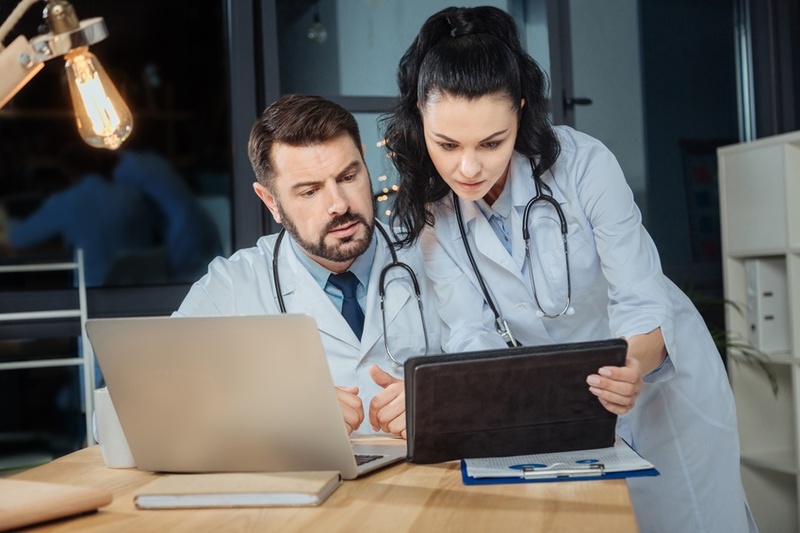 Automated communication can be used to send out reminders to schedule follow-up appointments and appointment reminders to ensure patients remember to get to their physician on time. For example, PatientBond’s automated communications have been shown to reduce missed appointments by 22 percent. Patients who fail to pick up prescriptions and use medications as directed also have a higher risk of readmission, and the cost of medication non-adherence is huge, not only in dollars, but in quality of patient life. Automating communications with patients can help promote medication adherence, reducing readmissions and improve patient outcomes. Educating patients on their medications and sending out automated refill reminders can help prevent non-adherence, particularly when psychographic segmentation is used to personalize these communications. Psychographic segmentation groups patients by shared attitudes, values and personalities, making it more efficient to target and message them with communications that resonate with their intrinsic motivations. This enhances the likelihood of activating desired patient behaviors. PatientBond uses a proprietary psychographic segmentation model developed by healthcare consumer experts from Procter & Gamble. There’s a huge connection between patient education and hospital readmissions, and many issues with readmissions can be resolved by providing better (and persuasive) patient education, both in the hospital and after discharge. In fact, one study published in the Annals of Internal Medicine found that when patients are provided with good education, including post-discharge instructions, medication instructions, and other information, they are 30 percent less likely to be readmitted to the hospital. Following up with patients after discharge with additional educational content and helpful health reminders can offer excellent benefits, not only reducing readmission rates, but improving overall patient outcomes. Of course, the key to effective automated patient communications is communicating with patients in the channel of their choice. Along with using the preferred channel of communication, it’s also important to use psychographic segmentation to better understand the personalities, lifestyles, values, and attitudes of patients. This makes it easier to provide automated communications that resonate with the priorities and motivations of the patient. Automated, digital patient communications offer so many benefits, from improved treatment adherence to better medication adherence post-discharge. In the fight to reduce hospital readmissions, PatientBond can partner with your facility to improve communication using automated communications and psychographic segmentation for precision engagement, to make sure you’re reaching patients and lowering the risk of future readmissions.